Momma Told Me: Choose, a donut OR a cookie. How many times, as a child do you recall hearing your mother tell you you could "only have one"? Whether it was one slice of pie, one piece of candy, or 'one or the other,' the solitary proclamation simply never seemed fair. It didn't matter if I had 2 treats in front of me or 100, I was determined that I should enjoy them all. Nothing illustrated this quite like a trip to the corner bakery, where there were large, chewy, chocolate chip cookies sitting right alongside fresh baked donuts. And without a doubt, I wanted them; the cinnamon buns, the bear claws, the Snickerdoodles, and the oatmeal cookies. Sure, Momma was just looking out for me, when she limited my selections; but wouldn't it be a sweeter world if you could just cheat and have both? 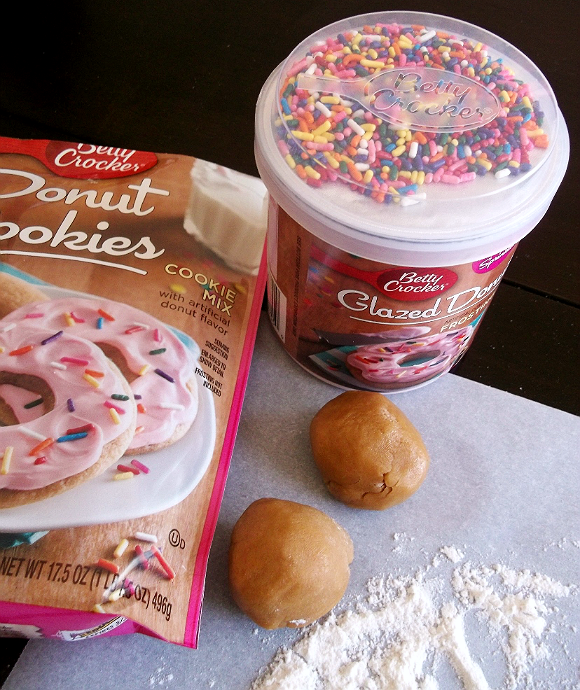 Someone must've had the same bake-shop trauma as I did in my childhood, because a crazy product conciever high up in Betty Crocker corporate dreamed up Glazed Donut Cookie mix and frosting. Longtime readers of my blog know I have a love/hate relationship with my sweet tooth, and next to the holidays few times of the year taunt the creative sweet-addict like Summer. Just browsing the baking aisle the other day I noticed an entire new range of Pillsbury Sugar Free mixes, Blue Velvet Cake, Cotton Candy Cookie Mix, and No Bake Strawberry Cheesecake. 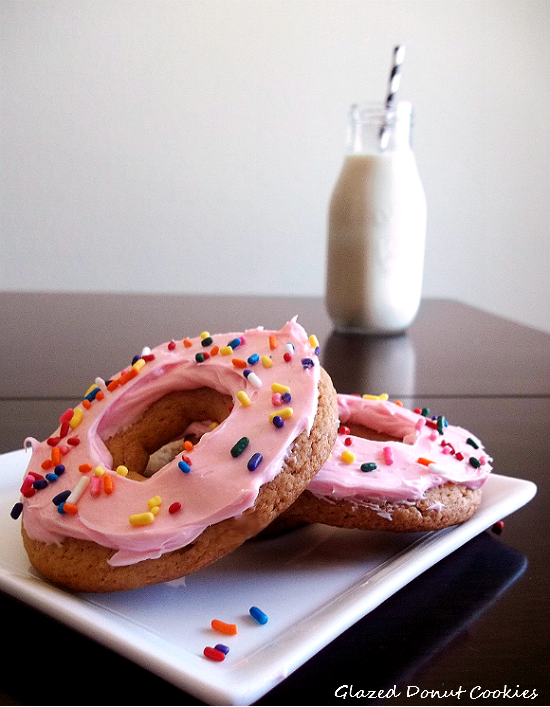 Then, like a hot pink accented siren, there she was; the Glazed Donut Cookie display, complete with the classic retro pink donut frosting and sprinkles. Of course I could create a blog dedicated to my baking adventure fails. For every 'great idea' I have in the realm of confectionery goods, there's 4 times as many certain flops. Let's face it, the Betty Crocker Picture Cook Book was the authoritative Pinterest of it's time for vintage foodies. My grandmother learned to cook alongside it, and there certainly were enough times that glazed ham turned out looking more like a burnt bird. So, I was skeptical, to say the least that these 'donut cookies' could look even half as cute as the perfectly stylized photo on the front of their packaging. Boxed and bagged mixes are supposed to be easy, but that doesn't mean they turn out like the ideal project on the front. Let's face it, those images are there to inspire stomach grumbles and flights of fancy. If you're going to try this mix you need to first note there is a recipe difference in shaped cookies verses the standard directions. Check the bottom of the pouch for a more 'dough' like recipe that will lend itself to shaping. 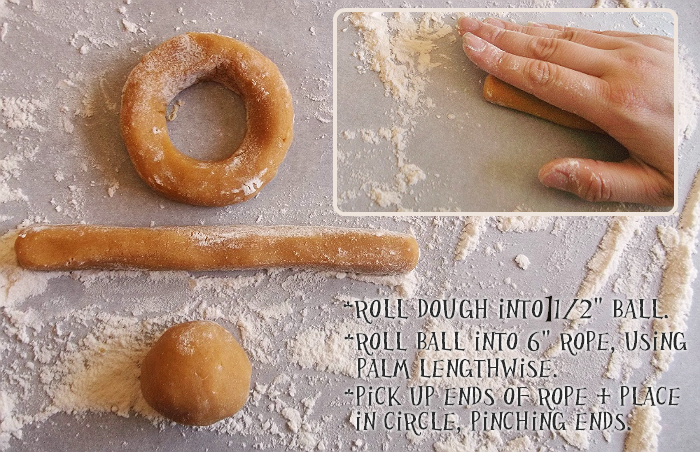 Next, you will want to roll your dough into1 1/2" balls, then roll the balls into 6" 'snakes' with your hand lengthwise along the rolling dough. If you roll with you hands vertically you will create ridges, from your fingers, and uneven rope. Then pick up the rope at each end and place onto a prepared cookie sheet in circles, pinching the ends gently together. I actually found wetting either end with water helped seal the ends without deforming the circle. So, were they as delicious as they looked? I was pleasantly surprised to find the shaped cookie recipe baked a little soft and chewy, which complimented the brown sugar 'donut' flavor. 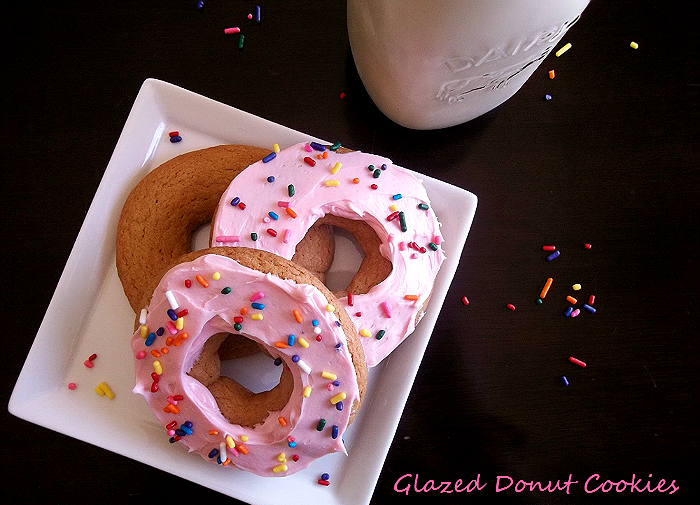 If we're going to try and be authentic, these cookies have a slightly sweeter plain cake donut taste. The frosting will set a little if the cookies are left out for an hour after decoration, but still doesn't lend itself to transport or stacking, so we frosted them in batches as they were eaten. And speaking of the frosting- you might find yourself more satisfied with a cream cheese frosting died pink, while the cookies were the hero, and the sprinkles an editorial must, the frosting had a bit of a lingering artificial flavor. 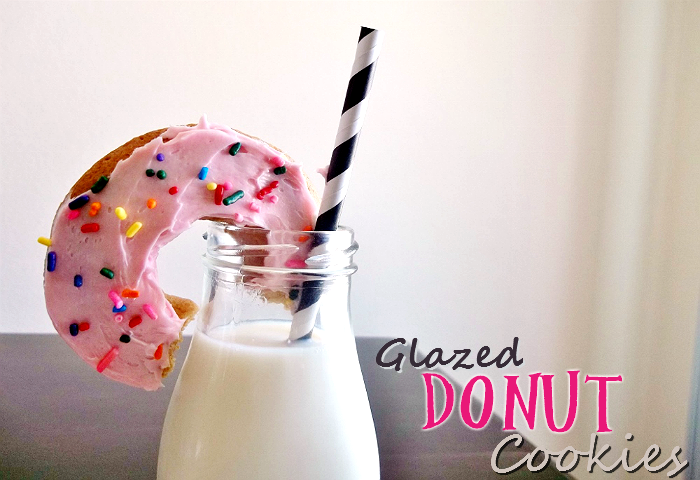 So that's the way the cookie, erm, donut? crumbles. You can have your donut an eat a cookie too- but the real treat is in getting fro package to plate. I know I'm a big kid at heart, and these cookies made me happy just anticipating the decorating. Wouldn't they also be a fun treat for Father's Day? What Daughter Says: If there's a will, there's a way- do you ever REALLY have to choose? 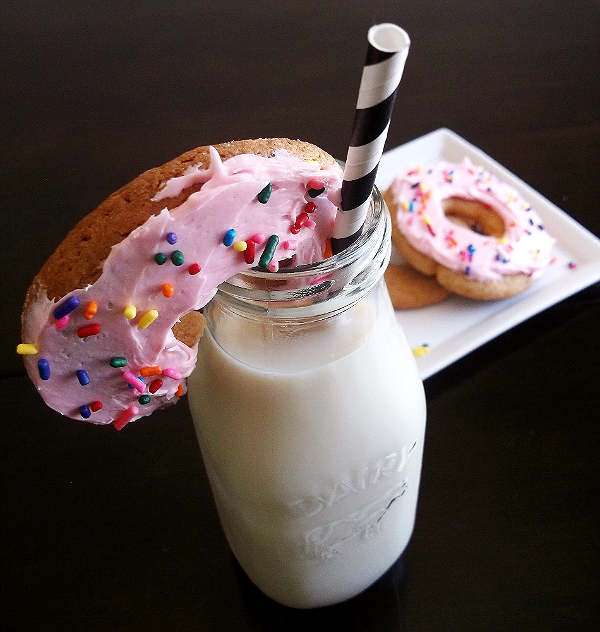 That looks delicious, and now you have me craving something sugary! Great idea, too. 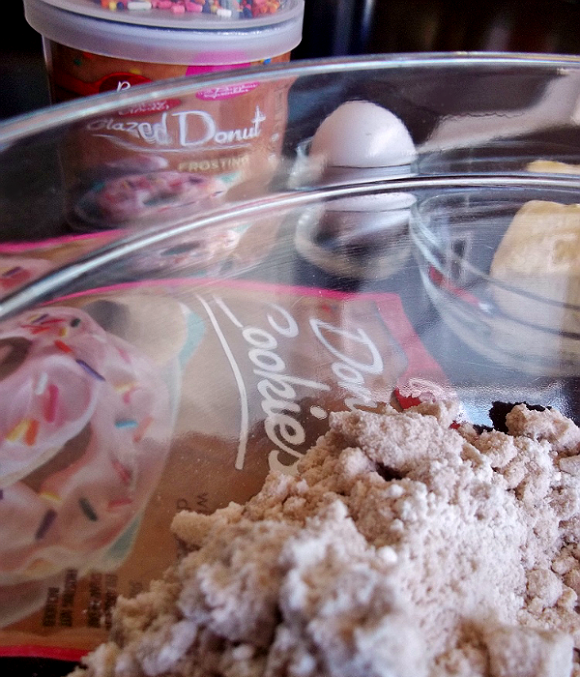 I never would have thought to make donuts out of a cookie mix. I just make them the hard way LOL. Definitely much easier this way. 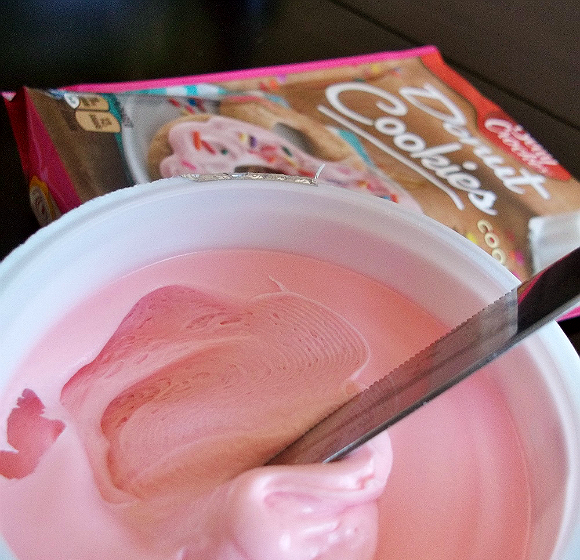 I'd probably eat them without icing as I don't like canned frostings. They are cute though. This is a perfect idea for my son's birthday. He LOVES donuts. For years I bought my daughter a donut shirt from Mini Boden every summer. Your post reminded me of those happy days!